RACING: Event organizers have announced that legendary Formula One racing champion Michael Schumacher and reigning champion Sebastian Vettel will once again headline the Race of Champions in Bangkok this December. The race will take place at the Rajamangala Stadium, the home of the Thailand national football team, and pits the best drivers in the world from Formula One, Le Mans, X-Games, World Rally, and other motorsport series against each other in the same vehicles. The Race of Champions will take place December 15-16. “I have never raced in Thailand before so this will be an interesting addition to my motor sport travels,” Schumacher said in a news release. For the past five years, the German duo have led their country to victory in the first day of the event, dubbed the “Race of Nations.” France’s Sebastian Ogiers will look to defend his title in the individual races, which comprises the second day of the event. The 50,000 seat Rajamangala Stadium will be fitted with a specially constructed tarmac track. The event, which started in 1988, has been an end-of-season round-up for motorsport legends from around the world and had it’s Asian debut at Beijing’s “Bird’s Nest” Olympic Stadium in 2009. “Racing in a stadium is sensational – and it’s a very different experience for us drivers to hear the fans so close. 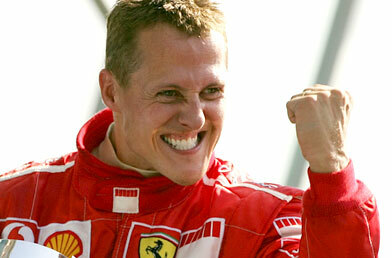 And of course we are all professionals so the moment we close the visor we want to win,” Schumacher said.